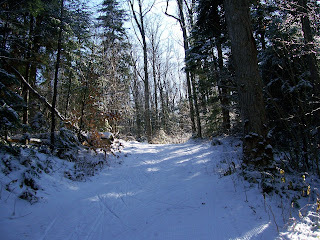 Cross-country skiing is back on and pretty good, considering it rained so much yesterday. Technically, they aren't open and will re-open this weekend at Mount VanHoevenberg. There is plenty of fresh snow on a nice hard base (as requested) for classical skiing, but skating is the ideal way to go. Skiing's great in New York State! Indoor fun in the Adirondacks!